As a Complex Regional Pain Syndrome (CRPS) injury attorney in California, I have seen how CRPS can develop after a motor vehicle collision, slip and fall accident, or some other trauma causing event. This condition involves regionalized pain in an area in which the person suffered trauma. It most often involves a limb that has been injured and results in chronic pain. The syndrome is thought to be caused by damage to the peripheral and central nervous systems. A person who suffers from CRPS may experience pain that is excessive and prolonged. They may also have swelling and changes in temperature and skin color in the injured area. Not everyone with an injury will develop CRPS, and medical experts are not certain why some people end up developing it while others who have similar injuries do not. CRPS results from a clear injury or trauma in more than 90 percent of the people who are diagnosed with it. Common injuries that can lead to CRPS include sprains, fractures, soft tissue injuries, surgical and medical procedures, and limb immobilizations. The syndrome is an excessive pain reaction to the injury. People who have been diagnosed with CRPS have abnormalities in their peripheral nerves that send pain signals to their brains. The hyperexcited nerve fibers release substances that experts believe lead to abnormalities in the blood vessels and inflammation. The blood vessels may either become too dilated, which can cause the area to swell and redden. They may also constrict too much, causing the skin to feel cold and to look blue. 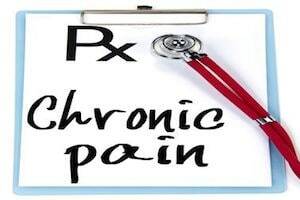 Inflammatory chemicals called cytokines have been found to be present in abnormally high amounts in people with CRPS. These chemicals may lead to the warmth, swelling and redness that a large number of sufferers report. Doctors primarily base diagnoses of CRPS on the patients’ reported symptoms, medical history and history of injuries. They may use triple bone scans to look for excessive bone resorption, which is present in many people who have CRPS. This is a process in which bone cells are broken down and calcium is released into the bloodstream. People may also receive blocks of sympathetic nerves or surgical destruction of some sympathetic nerves. They may also be treated with stimulation of the spinal cord or the placement of drug pumps. Treatment for CRPS should be expected to be ongoing, lasting for as long as a person suffers from the disorder. While some people eventually recover or show marked improvement over time, others do not. When a person has been seriously injured in a car crash or slip and fall accident, he or she may end up developing CRPS in addition to having the underlying injury. A personal injury attorney values his or her clients’ cases. This process includes calculating the medical expenses that have already been incurred as well as those that should be expected in the future due to the need for ongoing treatment. In addition to the costs involved with long-term pain management treatment, a personal injury lawyer will also seek compensation for his or her client for the emotional distress, physical pain and the reduction in the quality of life the client has suffered.